Showing 1 - 10 of 251. Page 1 2 3 4 5 6 7 8 9 10 11 12 13 14 15 16 17 18 19 20 21 22 23 24 25 26 of 26. Available in red / white / blue. Match badge at Newcastle, 19/8/04. Available in white, red or blue. Match badge. Katowice 08/09/04. World Cup Qualifier. Available in red , white or blue. Available in red, blue, white, green. 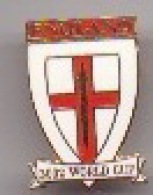 Match badge. Gothenburg 31/03/04. Friendly. Available in red , white or blue.